Otherwise known as Eva Miller, she was the third child born the 17th day of March 1862 in Otter Creek Township, Ripley County of Indiana to Lawrence and Christina Miller. Not much is known about her before the marriage on the 24th of October 1884 in the Saint Magdalene Parish of Shelby Township in Ripley County to George Henry McNew. George was the oldest son of Benjamin McNew and Eliza Jane Filly or Filby. 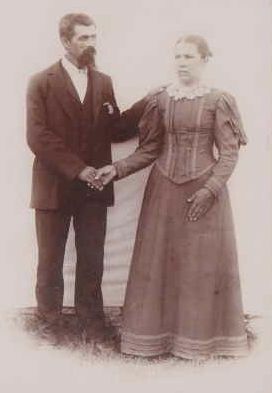 Eva was known as “Aunt Afe” to the family. She and George had 4 girls: Dorothea Caroline or Dora born 2 Aug 1885, Emma Marie born 11 Mar 1888, Christina Clara born 26 Nov 1889, and Charlotte Frances “Lola or Lottie” born 14 Feb 1892. In 1894 George steps on a rusty nail and gets tetanus and dies leaving Eva with the four little girls. 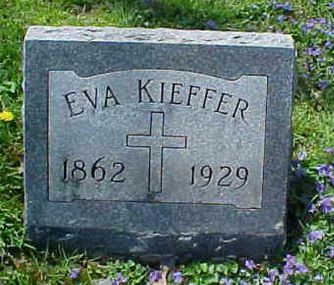 One year later on 14 Sept 1895 Eva marries Michael “Mike” Kieffer, a widower with three boys from his previous marriage to Justina Blank. 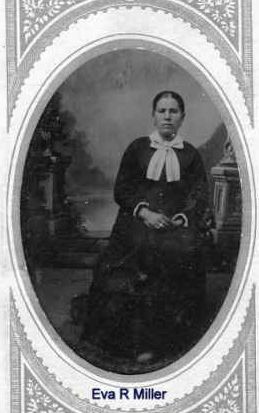 Justina had passed away in 1893 and was buried in the Saint Magdalene Cemetery at the St. Magdalene Church in Shelby Township but later moved to North Madison, Indiana. To this marriage, two more little girls are born to Eva and Mike; Elizabeth Mary “Suzie” born 12 Feb 1897 and Matilda Ida “Tillie” born 14 Apr 1899. The family lived in Shelby Township their entire marriage. The 1900 Federal Census shows Michael, Eva, Jacob, John, Suzy, Matilda, and the McNew girls; Dora, Emma, Christina, and Lola. By 1910, the only children living with Eva and Michael are: Lotta, Lizzie and Tilly. Now in 1920, there is only Matilda living with her parents. Eva dies on the 24th of August 1929 and was buried in the Saint Magdalene Cemetery at the church cemetery on the 26th of August. 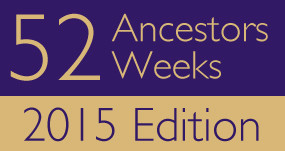 This entry was posted in Elusive Ancestor Hunter and tagged Charlotte Frances "Lola" McNew, Christina Clara McNew, Dorothea Caroline McNew, Elizabeth Mary "Suzy" Kieffer, Emma Marie McNew, Eva Regina Miller McNew Kieffer, George McNew, Matilda Ida "Tillie" Kieffer, Michael Keiffer, Shelby Township. Bookmark the permalink.